(Bloomberg) -- Javier Finkman, who was chief economist for South America at HSBC and spent more than two decades at the bank, has died. He was 54. He died in Buenos Aires, according to HSBC Argentina. No details were provided. Finkman joined HSBC in 1996 as head of equity research and two years later became chief Argentina economist, holding that post for the next decade. In 2008, he was appointed head of the regional team of economists. 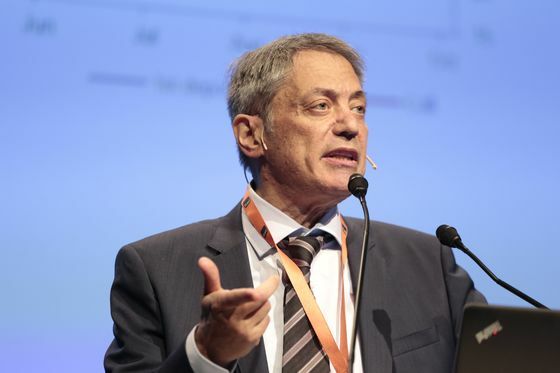 “Javier was one of the country’s most influential economists, and honored over these years our organization, his colleagues and collaborators with his valuable vision and brilliant contributions,” according to a statement from the bank. Finkman had an active academic career, teaching at the Universidad de Buenos Aires and Universidad di Tella. He was also a researcher at the Centro de Estudios de Estado y Sociedad (CEDES). He is survived by a wife and three daughters.